Nigeria's main militant group said on Monday it would blockade key waterways in the Niger Delta to try to prevent crude oil exports after days of military helicopter and gunboat raids on its camps. 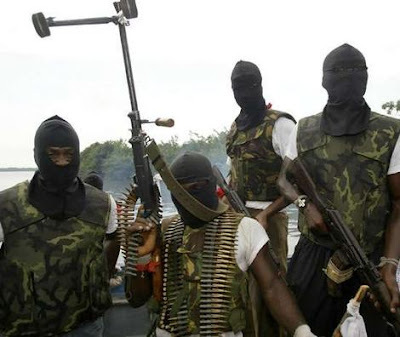 The security forces launched an offensive against militant camps around Warri in the western Niger Delta on Friday after two oil vessels were hijacked and its soldiers were attacked, leading to the heaviest fighting in at least eight months. "We have ordered the blockade of key waterway channels to oil industry vessels both for the export of crude and gas and importation of refined petroleum products," the Movement for the Emancipation of the Niger Delta (MEND) said. "This means vessels now ply such routes at their risk," the group said in an e-mailed statement. 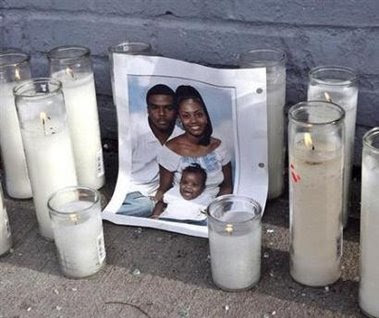 So William G. Bell is prepared for anything as he pushes for a Sean Bell Way in Jamaica, Queens. “I can’t get no more disappointed than what I already went through,” said Mr. Bell, who is seeking to rename several blocks of Liverpool Street for his son Sean, 23, who was killed there in a barrage of police bullets as he left a nightclub on what would have been his wedding day, Nov. 25, 2006. El Amate, Chiapas. May 6 - "I have been detained because I belong to the Zapatista Army of National Liberation" (EZLN), Miguel Vazquez Moreno declared today when he gave his testimony in the second criminal court in the State Center for Social Rehabilitation of Convicts (CERSS in its Spanish initials) number 14, El Amate, where none of the officials and employees, of course, are wearing face masks. Nor do they seem aware that there is a national and state health emergency. In contrast to his first "statement" given under coercion in pre-charge detention, Vazquez Moreno is assisted by an interpreter who speaks his language, or at least a variation of his dialect (the interpreter the authorities have provided is from Cancuc, while the eight detained men from San Sebastian Bachajon speak the tzeltal dialect of Chilon). But, at least they understand each other, and that is enough. From behind the railing he declares himself innocent of the charges against him, and requests that he be freed for lack of evidence to proceed with a trial. And he introduces himself in this manner: "I am from the ejido San Sebastian Bachajon and I belong to the support bases of the EZLN, an organization that defends its right to exercise autonomy and self-determination as indigenous peoples, its right to territory and natural resources."